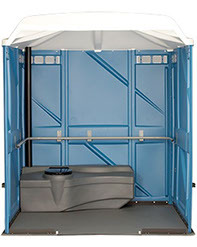 These units are ADA compliant with sufficient wheelchair turning space! 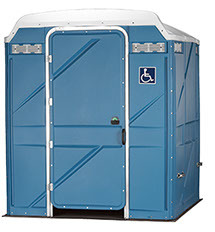 We buy our ADA Wheelchair Accessible portable restrooms from industry leaders in quality and longevity in the field. These units are equip with hand rails in addition to all standard unit features of a standard unit.